An exhibition that both showcases and pays homage to renowned Gija artists of the Kimberley, past and present. 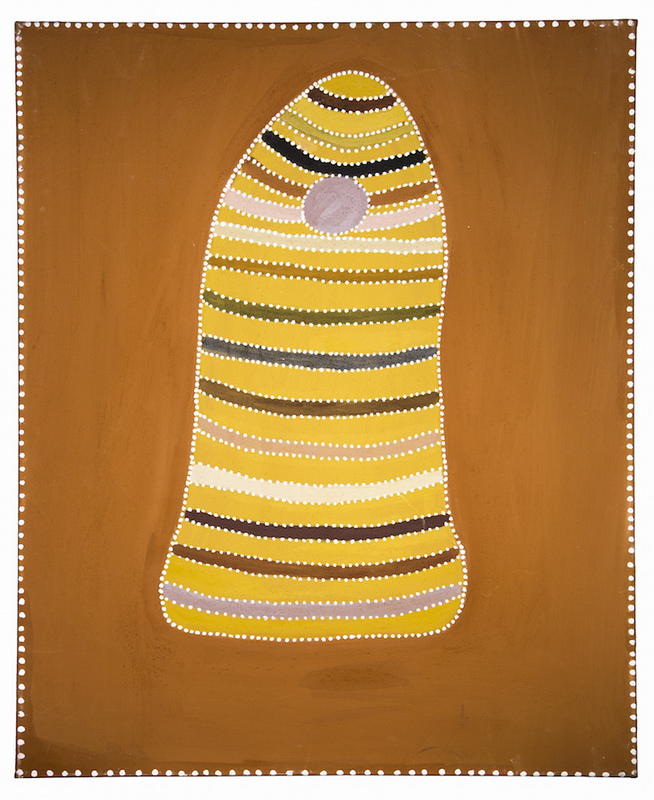 Featured artwork: Betty Carrington, Nyidbarriya, Purnululu, natural ochre and pigment on stretched canvas. Berndt Museum Collection. Intellectual and cultural copyright the artist. WARMUN THEN AND NOW invites Perth audiences to celebrate the artistic brilliance of Gija art and artists. With an innovative reproduction of a remote Aboriginal area art centre, studio and gallery as backdrop design, the exhibition showcases the creative wonder and the resilience of one of Australia’s most distinctive art movements. WARMUN THEN AND NOW is a Berndt Museum exhibition in collaboration with the East Kimberley’s Warmun Art Centre.